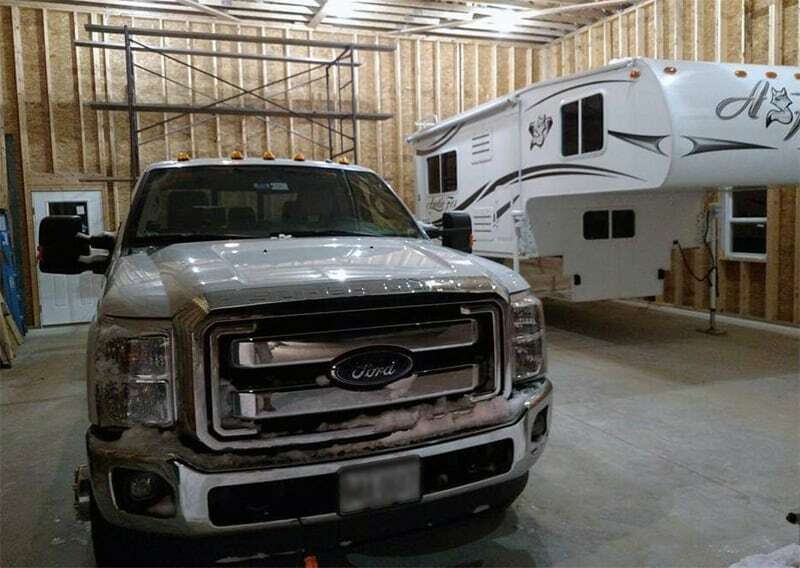 Truck Camper Magazine readers reveal their incredible RV garages and share critical details and tips about the design and construction process. Don’t even think about building an RV garage until you’ve read their hard-earned advice. 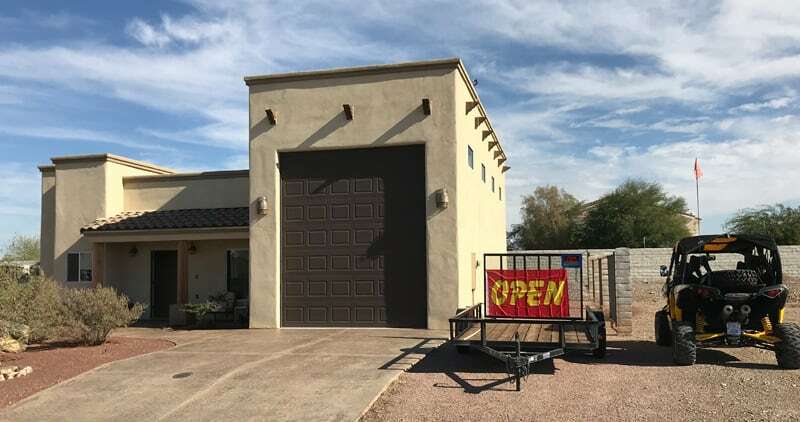 Last December we were exploring the town of Quartzsite, Arizona attempting to wrap our minds around exactly what that place was all about when we saw a sign for an open house that instantly captured our attention. We are not in the market, but the sign had two words that practically steered our rig, “RV garage”. “Should we go?” I asked Angela. “Heck yeah!” she answered. I just love how enthusiastic she is about anything to do with travel and truck camping. If I had kept going she would have hopped out at the next stop light to go see it for herself. Tenacious? You have no idea. After a short drive, we pulled into a small neighborhood full of RV garage homes. They were all custom designed and built. Following the signs, we parked our rig and approached what looked like a RV garage with a tiny home on the side. “It’s perfect!” exclaimed Angela, but I was already thinking it. After years of truck camping, we are done with big houses. The average house in the United States is now 2,600 square feet. For us, that’s way too much to heat, air condition, maintain, clean, and pay taxes on. Then there’s furniture, decorations, and stuff, stuff, and more stuff to fill up that space and make it feel like home. And there it was! 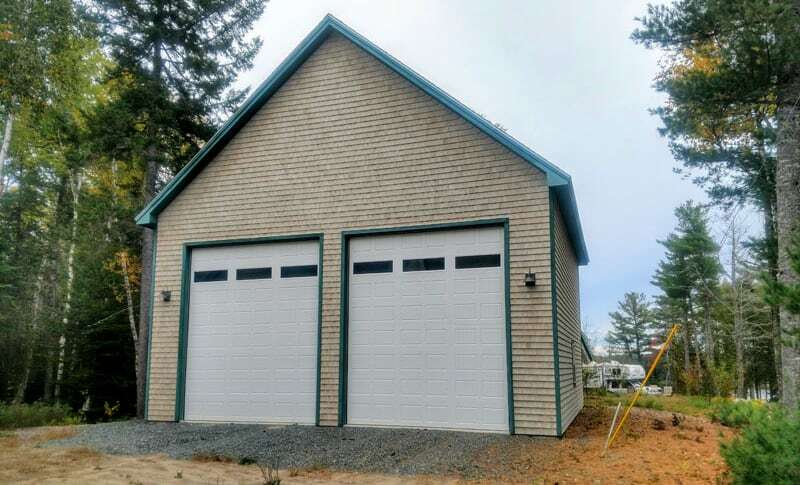 About 1,000 square feet of living space and a beautiful 50-foot RV garage with full hookups. The best part was that the house was selling for a mere $135,000. We were gobsmacked. I swear on my cat that we would have bought that RV garage house on the spot had it been someplace we wanted to live. Quartzsite is fascinating, but I don’t see us buying a house there. Camp in Quartzsite for a winter? Maybe. Buy a house in Quartsite? Can’t see it. That said, I do see us owning a house with a RV garage some day. Maybe we’ll find the courage to build a house like the one we saw in Quartzsite, only in southern Florida. If you’ve ever dreamed of designing, building or at least buying a RV garage, the following feedback from those who have already done the deed is nothing less than priceless. No doubt these tips will save you money while making your RV garage better than you imagined. Tip number one; make it bigger. A lot bigger. “Our Truck Camper Storage Facility (TCSF), has a 32-foot square foot footprint. We have two 14-foot tall doors, a 16-foot ceiling, and a steep roof for shedding snow here in the north. We designed it, but it’s really very simple. It has a single door and a couple of windows. It uses conventional 2×6 stick-built construction, but a crane was required to place the manufactured roof trusses in place. After site work and slab pour, two professional construction friends built it with assistance from me. I did the electrical work bringing 220-volt over from a close-by barn, installing a sub-panel, and wiring outlets, lights and the door lifts. The TCSF works out great. I can work on the roof comfortably, even when the camper is on the truck. The batteries are kept charged and the camper is safely out of our harsh winter weather. The one thing I wish we had done was seal the floor, but that can easily be done at any time.